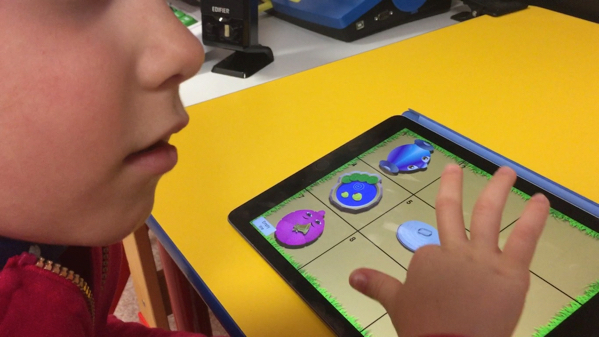 How do Children who are Blind use the iPad? Five year old Terry reads Stay Still, Squeaky!, an interactive audio story, to his younger brother. Terry, who is blind, navigates the self-voicing story app with subtle finger gestures on the screen of his iPad, tapping and flicking and responding to the audio alerts. His brother, who doesn’t have a vision impairment, is captivated by the images and the sound effects in the story. He would love to get his hands on the iPad, but respects that his brother is in charge. Laura has already acquired foundation iPad skills, and she’s now keen to complete the new challenge in her iPad game: to code a character moving through a virtual landscape with bushes, rocks and a pond, using a digital grid with rows and columns. Laura is blind and the computational thinking she learns on the iPad also helps develop her spatial awareness and orientation & mobility skills. It’s easy to say that learning technology skills is important for any child. All schools should focus on computer and tablet competence. But is it as easy to make the case for kids who are blind? 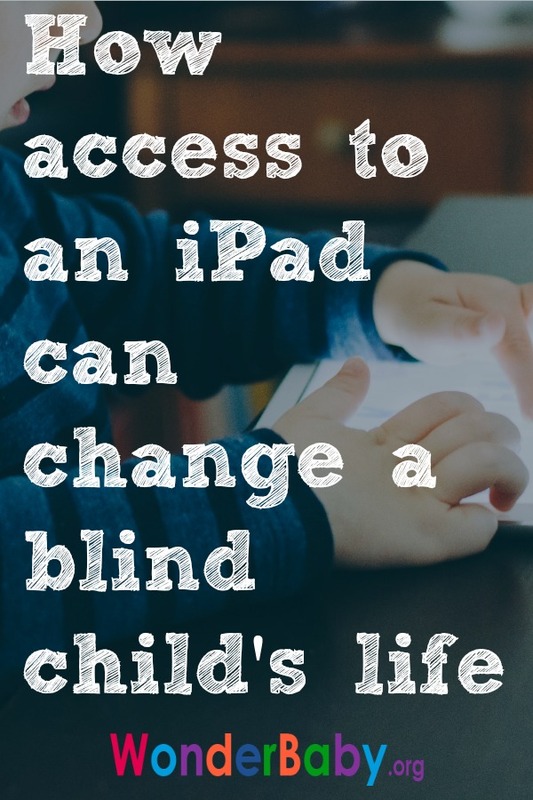 For children who are blind or visually impaired, iPads in fact represent multi-purpose, portable Assistive Technology devices, providing many of the functions that in the past could only be supported by individual pieces of very expensive “blindness specific” equipment. And although iPads aren’t necessarily cheap, they are certainly much less expensive than most Assistive Technology designed for users who are blind. With an iPad, social interaction becomes easier for your child who is blind or visually impaired, because friends and family use the exact same device. iPads makes it easier to engage and work on things together, and to communicate using apps like Skype or Messages. On the iPad, your child can read eBooks or use a refreshable braille display to read and write electronic braille. Using a variety of apps, your child can learn to access educational resources, send emails, consult a map, find public transportation, search for information, read the news and listen to music. Building digital skills, like the skills to use an iPad, will enable your child who is blind or visually impaired to participate more equally in social activities, education, and future employment opportunities. 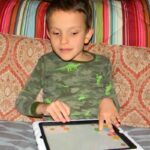 With the right support and effective learning resources, your child who is blind or visually impaired can become an effective user of an iPad. The built-in accessibility features on an iPad (and iPhone) offer a variety of access options for children who are blind or visually impaired. A student who is blind can turn on VoiceOver in the Accessibility settings, to turn the touch interaction with the screen into one based on audio feedback, such as synthetic speech, or audio alerts. The finger gestures to interact by way of VoiceOver are different from the ones sighted users generally apply for their visual interaction with the screen. To execute specific tasks, VoiceOver gestures need to be performed in a specific speed and direction, and with a specific number of fingers. This is honestly not that hard, only different! 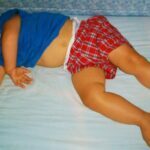 So how does your child learn to do this? It’s a good idea to introduce your child early to “informal,” playful interaction with a mobile touch device. 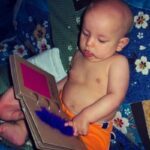 WonderBaby and Paths to Literacy selected their favorite fun and valuable iPad apps for children who are visually impaired: Apps stimulating the use of vision, teaching cause & effect, and the “Ballyland” apps for “Accessibility”. “Ballyland” is a series of educational apps that are specifically designed for your child to develop the basic concepts and skills to start using VoiceOver. The apps help to prepare for the use of an iPad for all the great things mentioned earlier. Ballyland educational apps, by Sonokids, are actual games. So, your child can learn VoiceOver accessibility concepts and skills while having fun! Better still, the apps are designed so that you as a parent can learn alongside your child – and so can educators, to better support your child in school. The apps feature the “Ballylanders”: cute ball-shaped characters with their own personality and signature sound. The Sonokids website details exactly which VoiceOver touch gestures, concepts, and skills each Ballyland app develops and requires. There is a Ballyland app for all skill levels, including for children with no previous experience at all. Playing with these apps, your child can build VoiceOver skills in her or his own tempo, and boost self-confidence in the process. Because the apps are also visually attractive, sighted siblings and friends enjoy taking part as well. There are now even Ballyland apps for young blind and visually impaired kids to get started with Coding and Computational thinking. The Ballyland apps are used in schools around the world. Having an iPad, plus the skills to use it with accessibility settings, can open a door for your child to a whole new world of fun and learning. Don’t let your child who is blind or visually impaired be left out of using technology at home or in the classroom, and ensure that your child gets supported in the development of these essential digital skills. 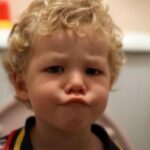 Phia Damsma is Creative Director of Sonokids Australia. She has 20+ years’ experience in the development of accessible educational software for students who are blind or have low vision, working closely with students, parents and specialist teachers. Phia is Co-President of South Pacific Educators in Vision Impairment (SPEVI inc) and Member of the Disability Advisory Council for the Minister of Disability Services in Queensland, Australia. 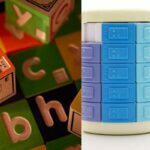 ABCmouse: A Unique Learning ExperienceTaptilo Braille Starter Kit Giveaway!